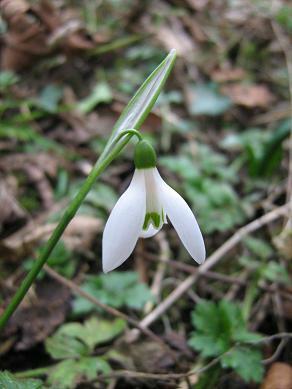 A pretty small flowered species with broad glassy green leaves. 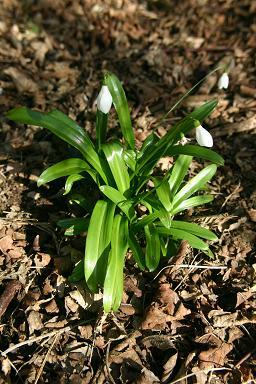 It took a long time to establish in the woodland walk, but there are now two or three small clumps,and they are slowly expanding. 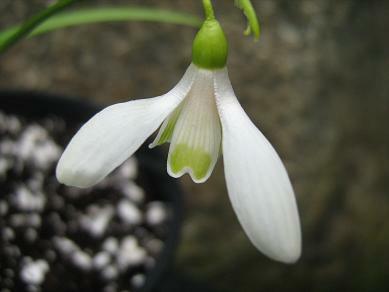 The flowers are rather variable. I keep the ones I like in pots while I make up my mind about them. 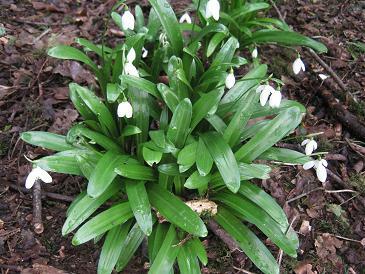 The clumps in the garden are slowly starting to make a significant impact in the snowdrop season and I am starting to wish I had more of them. 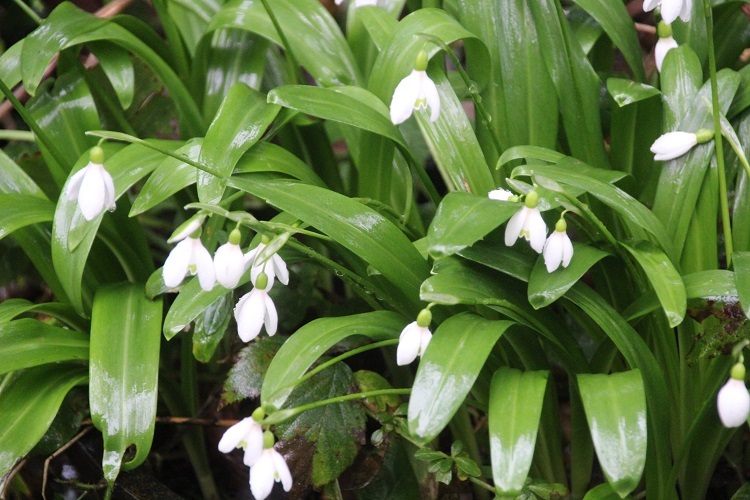 It makes such magnificent clumps of leaves early in the year that the flowers seem insufficient, though they are quite wonderful in detail. They just fall a little short of the promise of the leaves. 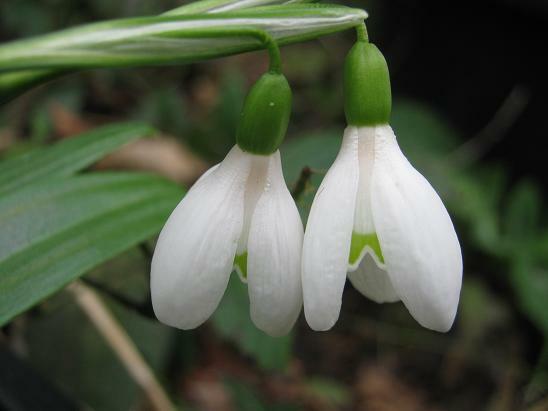 This is now the most commonly traded snowdrop, bulbs are being harvested in large numbers in Georgia and sold through Dutch wholesalers.